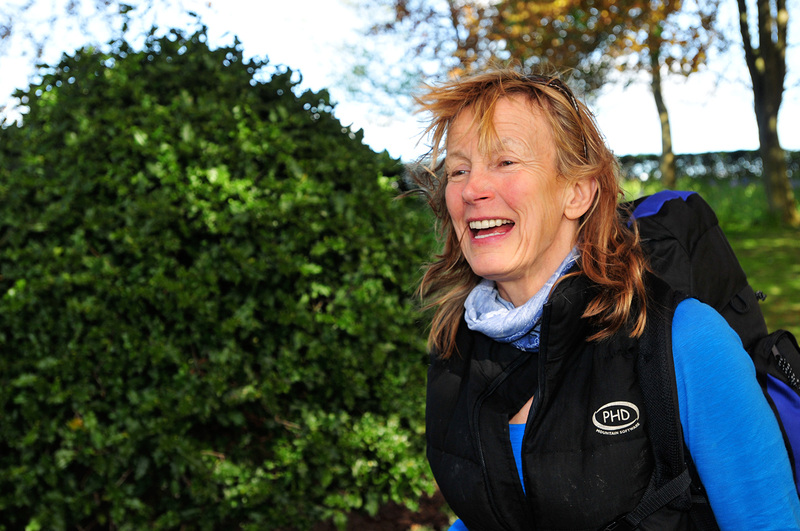 Rosie Swale-Pope, MBE (born 2 October 1946) is a Irish-Swiss author, adventurer and marathon runner who successfully completed a five-year around-the-world run, raising £250,000 for a charity that supports orphaned children in Russia, and to highlight the importance of early diagnosis of prostate cancer. Her other achievements include sailing round the world, sailing single-handed across the Atlantic in a small boat, and trekking 3,000 miles (4,800 km) alone through Chile on horseback. This picture was taken in Castle Park, Penrith, when she arrived for the Keswick Mountain Festival in 2009.